Richard Proctor was the son of Robert Proctor and Joannet Hagthorpe. George Proctor was the son of Richard Proctor. Richard Proctor Jr. was the son of Richard Proctor. Richard Proctor Jr. married Alys Boldsworth. Married Name Her married name was Proctor. Alys Boldsworth married Richard Proctor Jr., son of Richard Proctor. George Proctor Jr. was the son of George Proctor. William Proctor was the son of George Proctor. Married Name circa 1716 As of circa 1716,her married name was Beauchamp. Ann Proctor was the daughter of William Proctor. Ann Proctor married Thomas Beauchamp, son of Ephriam Beauchamp and Letitia Coppin, circa 1716. Thomas Beauchamp was born circa 1691. He was the son of Ephriam Beauchamp and Letitia Coppin. Thomas Beauchamp married Ann Proctor, daughter of William Proctor, circa 1716. Thomas Beauchamp died in 1724. Name Variation Ephriam Beauchamp was also known as Ephraim. Ephriam Beauchamp was born in 1660. He was the son of Edward Beauchamp. Ephriam Beauchamp married Letitia Coppin, daughter of John Coppin, on 19 May 1705. From "Notes from the Beauchamp-Proctor family in England," it appears that William De Beauchamp, cousin of John, Karl of Pembroke, who died in 1375, held the Manor of Tottenham by virtue of a grant from him, and Ephraim Beauchamp possessed lands in the same Manor which afterwards vested in George Beauchamp Proctor, Esq., of Thetford in Norfolk, by a bequest thereof from his father, Sir William Beauehamp Proctor. Married Name 19 May 1705 As of 19 May 1705,her married name was Beauchamp. Letitia Coppin was born in 1680. She was the daughter of John Coppin. Letitia Coppin married Ephriam Beauchamp, son of Edward Beauchamp, on 19 May 1705. Letitia Coppin died on 16 March 1739. Name Variation Sir William Beauchamp was also known as Beauchamp-Proctor. Sir William Beauchamp was born in May 1722. He was the son of Thomas Beauchamp and Ann Proctor. Sir William Beauchamp married Jane Tower before 1749. Sir William Beauchamp married Letitia Johnson before 1756. Sir William Beauchamp died in 1773. Sir Thomas Beauchamp-Proctor married Mary Palmer. 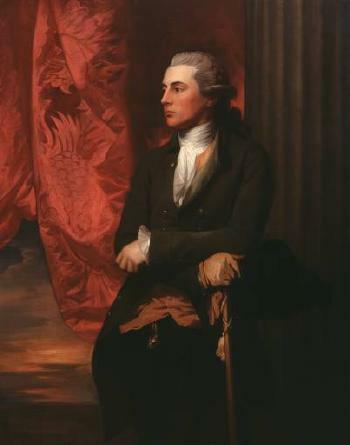 Sir Thomas Beauchamp-Proctor was born in 1756. He was the son of Sir William Beauchamp and Letitia Johnson. Sir Thomas Beauchamp-Proctor died in 1827. Sir William Beauchamp-Proctor was born on 14 October 1781. He was the son of Sir Thomas Beauchamp-Proctor and Mary Palmer. Sir William Beauchamp-Proctor married Ann Gregory, daughter of (?) Gregory and (?) Brograve, on 20 May 1812. Sir William Beauchamp-Proctor died on 14 March 1861 at age 79. Admiral Sir William Beauchamp-Proctor, 3rd Baronet (14 October 1781 – 14 March 1861) was an officer in the Royal Navy. The son of Sir Thomas Beauchamp-Proctor, 2nd Baronet and Mary Palmer, he succeeded to his father's baronetcy on 29 June 1827. He fought in the bombardment of Le Havre in 1804, and in 1807, captained the 36-gun Dédaigneuse, a captured French frigate, to renew the Seychelles Capitulation. He was promoted from Rear Admiral of the Red to Vice Admiral of the Blue on 2 September 1850. He married on 20 May 1812, Ann Gregory, granddaughter of Sir Berney Brograve, 1st Baronet. There were at least four children from this marriage. His wife died 6 February 1859. [S369] Encyclopedia website, by compilation, http://en.wikipedia.org/wiki/Sir_William_Beauchamp-Proctor,_3rd_Baronet. Married Name Her married name was Beauchamp-Proctor. Mary Palmer married Sir Thomas Beauchamp-Proctor, son of Sir William Beauchamp and Letitia Johnson. Married Name 20 May 1812 As of 20 May 1812,her married name was Beauchamp-Proctor. Ann Gregory was the daughter of (?) Gregory and (?) Brograve. Ann Gregory married Sir William Beauchamp-Proctor, son of Sir Thomas Beauchamp-Proctor and Mary Palmer, on 20 May 1812. Ann Gregory died on 6 February 1859. (?) Gregory married (?) Brograve, daughter of Sir Berney Brograve. Married Name Her married name was (?) Gregory. (?) Brograve was the daughter of Sir Berney Brograve. (?) Brograve married (?) Gregory. Sir Berney Brograve was born on 10 October 1726. He died on 23 February 1797 at age 70. Book written about him titled "Sir Berney Brograve, A Very Anxious Man: The untold story of Norfolk's most notorious ghost." by Cheryl Nicol. 1st Baronet. Thomas William Brograve Proctor-Beauchamp married Catherine Esther Waldegrave. Thomas William Brograve Proctor-Beauchamp was born in 1815. He was the son of Sir William Beauchamp-Proctor and Ann Gregory. Thomas William Brograve Proctor-Beauchamp died in 1874. Married Name Her married name was Proctor-Beauchamp. Catherine Esther Waldegrave married Thomas William Brograve Proctor-Beauchamp, son of Sir William Beauchamp-Proctor and Ann Gregory. Montagu Harry Proctor-Beauchamp Proctor-Beauchamp was born on 19 April 1860. He was the son of Thomas William Brograve Proctor-Beauchamp and Catherine Esther Waldegrave. Montagu Harry Proctor-Beauchamp Proctor-Beauchamp died on 26 October 1939 at age 79. Sir Montagu Harry Proctor-Beauchamp, 7th Baronet (19 April 1860 – 26 October 1939) was a British Protestant Christian missionary. Proctor-Beauchamp was the fourth son of Sir Thomas William Brograve Proctor-Beauchamp, 4th Baronet, and his wife the Hon. Catherine Esther, daughter of Granville Waldegrave, 2nd Baron Radstock. He succeeded in the baronetcy in 1915 when his elder brother Horace was killed in the First World War. Proctor-Beauchamp served with the China Inland Mission during the late Qing Dynasty in China. He was one of the Cambridge Seven, students from Cambridge University, who in 1885 decided to become missionaries in China. [S369] Encyclopedia website, by compilation, http://en.wikipedia.org/wiki/Sir_Montagu_Proctor-Beauchamp,_7th_Baronet. Horace George Proctor-Beauchamp Proctor-Beauchamp was born in 1856. Horace George Proctor-Beauchamp Proctor-Beauchamp died in 1915. Reginald William Proctor-Beauchamp was born in 1853. Reginald William Proctor-Beauchamp died in 1912. Ivor Cuthbert Proctor-Beauchamp was born in 1900. He was the son of Montagu Harry Proctor-Beauchamp Proctor-Beauchamp. Ivor Cuthbert Proctor-Beauchamp died in 1971. George Proctor was the son of William Proctor. Name Variation Reverand William Henry Beauchamp was also known as Beauchamp-Proctor. Reverand William Henry Beauchamp was born after 1815. Name Variation Sir Edward Beauchamp was also known as Beauchamp-Proctor. Sir Edward Beauchamp was born on 12 April 1849. He was the son of Reverand William Henry Beauchamp. Sir Edward Beauchamp died on 1 February 1925 at age 75. Sir Edward Beauchamp, 1st Baronet (12 April 1849 – 1 February 1925) was a British businessman and Liberal Party politician. Beauchamp was educated at Highgate School, and chairman of Lloyd's of London from 1905 to 1913, and vice-chairman from 1915 to 1916. He was made a Baronet on 27 June 1911, of Grosvenor Place, in Westminster. At the 1906 general election, he was elected as Member of Parliament (MP) for the Lowestoft division of Suffolk. He was defeated at the January 1910 general election, but regained the seat at the December 1910 election. He was re-elected in 1918 as a Coalition Liberal, a holder the "coalition coupon" issued to supporters of the Coalition Government led by David Lloyd George. He did not contest the 1922 election, when his son Brograve stood as a National Liberal candidate, but lost by a wide margin to the Conservative Gervais Rentoul. [S369] Encyclopedia website, by compilation, http://en.wikipedia.org/wiki/Sir_Edward_Beauchamp,_1st_Baronet. Letitia Beauchamp was born in 1709. She was the daughter of Ephriam Beauchamp and Letitia Coppin.